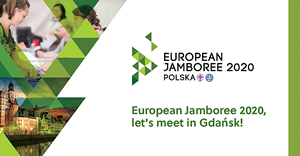 Durham Scouts have confirmed that there will be taking 36 young people of Explorer Scout age (at the time of the Jamboree in 2020) to the European Jamboree. This Event is for Scouts born between 28th July 2002 & 27th July 2006 (inclusive). Read the Full Infomation on how to be part of this event. Please remember that all current adult members should have now complete the GDPR training moduleand all new adult members must complete the GDPR training module within five months from the date of appointment. The certificate at the end of the e-Learning counts as the validation. Sunderland Leaders should email a copy of the certificate to training@sunderlandscouts.org.uk to have your training record on compass updated. The YIF Minibus is available for hire by groups in Sunderland. Information on how to book the minibus is now available, this is the Full details and booking form. Durham 2020 is Durham’s first International Scout Jamboree between the 1st and 8th August 2020. Take a look at all the events being ran by Durham County. Read the Durham e Post newsletter for the latest news of whats happening in the County. What to keep up to date with whats going on at Durham Scouts ? sign up to "Hear from us"
Over the last few years under the management of a enthusiastic group of trustees who form its executive, we have embarked on an ambitious new development plan. 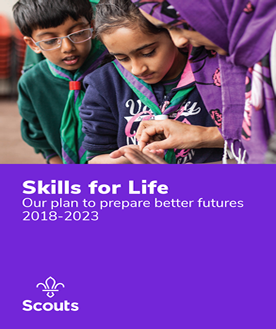 As Scouts, we believe in providing young people with skills for life. That’s why we encourage our young people to do more, learn more and be more. Each week, we give over 450,000 young people the opportunity to enjoy fun and adventure while developing the skills they need to succeed. 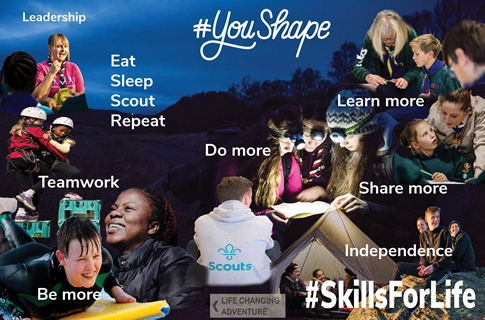 We’re talking about teamwork, leadership, Independence and resilience –skills that have helped Scouts become everything from teachers and social workers to astronauts and Olympians. By 2023 we will have prepared more young people with skills for life, supported by amazing leaders delivering an inspiring programme. We will be growing, more inclusive, shaped by young people and making a bigger impact in our communities. We are proud to say we are a values-based movement. Our Scout values of integrity, respect, care, belief and cooperation guide everything we do. Scouting offers a wide variety of roles to suit all interests, whether working directly with young people, managing others, running a specific activity or even helping maintain Meeting places. You'll also rediscover your adventure while contributing to your community and developing your own skills. 550 young people are involved in Scouting in Sunderland each week, in Groups located through out the City it could be more, with your help. That's not all, you will personally benefit from a variety of interesting and challenging experiences whilst meeting new people and having fun. Meet Abbie: she's from Sunderland (36th Sunderland St Aidan's) and has recently achieved some amazing things. Very proud to count her as one of ours!